Mayor proclaims Oct.12 Indigenous People's day in Lawrence,KS! Minneapolis City Councilwoman Alondra Cano, who represents the diverse 9th Ward, told RT that tribal councils and indigenous peoples have been raising awareness about the myths of Christopher Columbus and his legacy since the civil rights movement. 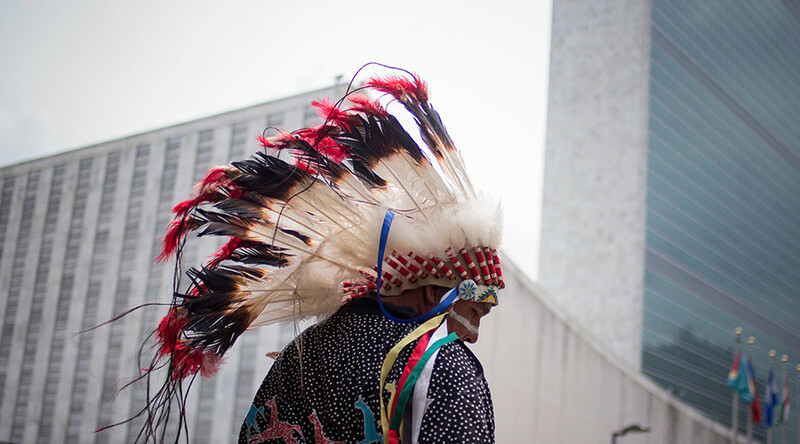 Through that work, they were able to connect to young people who, during a mayoral forum in 2013, asked candidates if they would support Indigenous Peoples’ Day instead of Columbus Day. Current Mayor Betsy Hodges pledged she would. “It is important to recognize there is a strategy on the ground. There is organizing that happened to help advance these policy agendas at the city council level,” said Cano. In September, Anadarko, Oklahoma’s proclamation was signed while surrounded by leaders from the Apache, Choctaw, Delaware, and Wichita tribes, among others.